My son Jordan was 11 months old when my twin girls Evie and Maia were born, in September 2016. I had suffered a placenta abruption and was rushed for an Emergency C Section at 35 weeks and witnessed my older twin being resuscitated at birth. I remember arriving onto the delivery ward filled with mixed emotions – happiness, relief, shocked, emotionally exhausted, worried and eternally grateful to the hospital staff who safely delivered both girls. I knew life for the next while would be tough, but never imagining just how hard it would be. The first five months of the girl’s lives went so fast I barely remember the early days. In those months my husband and I dealt with a lot. 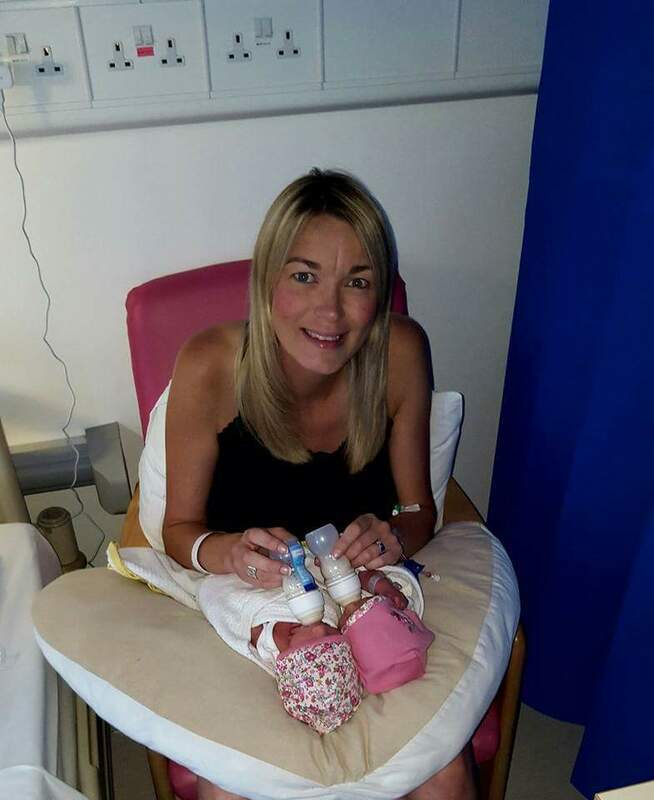 Jordan developed a chronic bowel disorder, Evie was only 7 weeks old when she spent several nights in hospital with a bad bronchiolitis infection, and after nearly 4 months of going crazy with Evie having colic, reflux and endless days of sickness she was finally diagnosed with a milk allergy. All of this along with zero sleep was enough to send any ‘normal’ mummy over the edge. 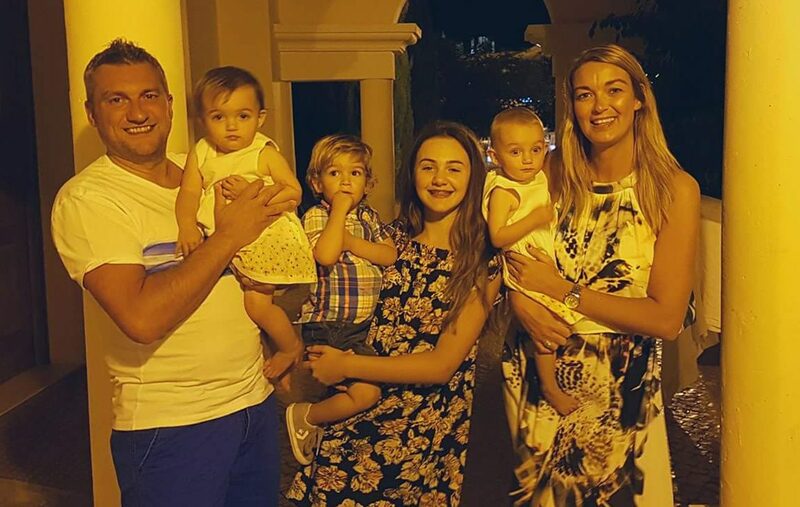 We then went on holiday at Christmas time, which could only be described as a holiday nightmare with 3 babies under 15 months (it was pre booked before knowing I was pregnant with the twins). I remember sitting with my husband in February 2017, just after Valentine’s day and saying “how have we survived?!”. I believe that during those first months of madness I just didn’t have time to think about what we had been through as parents, and how much of an emotional rollercoaster it had been. I then cried for three days solid. I felt sad, hormonal, guilty at not being the mum I thought I would be and tired…I was constantly tired and chasing my tail to even do the simple things that needed done. 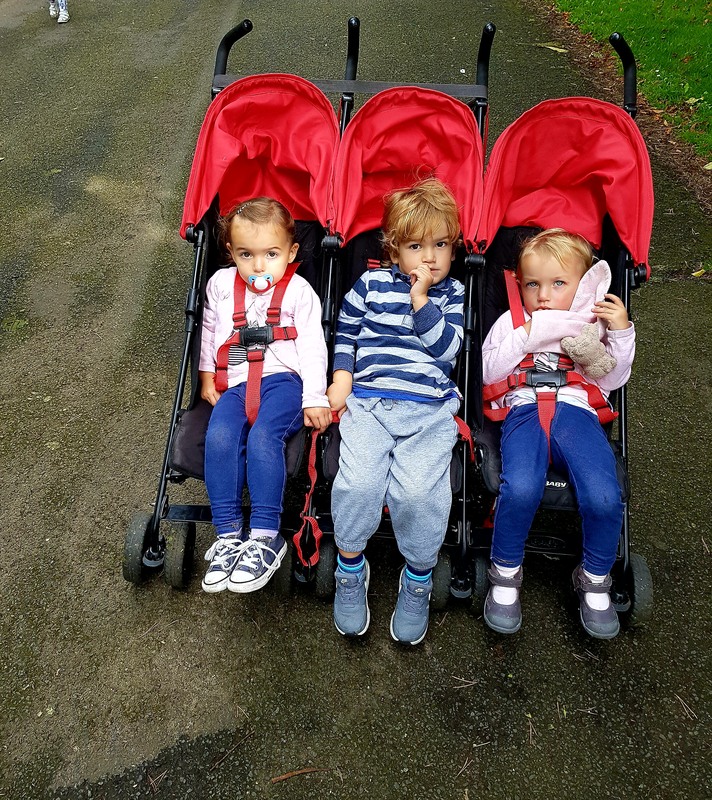 I was constantly on the go, and a lot of this was my own fault as I needed to have the kids out of the house every day, even if it meant a drive in the rain just to get a few moments of peace while they slept. I was anxious about doing everything and having everything done yesterday. I found that being out of the house with the 3 kids was much better for my sanity than being in the house while my husband worked. My family and friends along with my 14-year-old Step Daughter Nadia where (and still are) absolute heroes with their amazing kindness and unforgettable support. But I needed another type of support. I became slightly obsessed with following people on social media, reading other mum’s stories about coping and using Dr Google for everything and it all resulted in me understanding I wasn’t alone in the way I was feeling. I then had to begin thinking about returning to work. I was lucky that I loved my job and it might sound crazy, but I was looking forward to getting back for a break! I tried to negotiate flexible working arrangements around my mental health state at that point in time, and unfortunately the request I wanted, wasn’t supported by my employer. I felt additional pressure to return under conditions I just couldn’t manage. I started to reach out for help. I knew if I didn’t, I would continue this path of burying my head in the sand. I could no longer cope. My GP was a fantastic support to me and he always made it known if I needed him, all I had to do was pick up the phone. He diagnosed me with having anxiety, stress and panic attacks and continued to be a massive help in my recovery of getting myself back on track again. I found comfort in speaking to other supporting organisations, and I was referred to a local family support group by my Health Visitor. I received an unbelievable volunteer through Home-Start charity, who came to my house each week for 5 months to either let me do the shopping alone, she would take the kids out for a walk, or she would just be there to listen if I needed a moan. I also joined their family group which me and the kids still attend on a Tuesday morning along with other inspiring mum’s and their children, and I’m lucky to have met them all and share in each other’s parent journey. I left work my old job back in February of this year, and soon after found a new fantastic part-time job that suited the hours I wanted, location and flexibility. I’ve been in my new role now for 6 months, working for a local Community Network helping to support, advise and signpost individuals who are in need or seek help. I often speak to mum’s and families who are going through tough times, similar to what I can relate too, and I can now offer personal advice on my experience to help them too. My girls will be 2 next month, followed by my son who will be 3. I’ve had my ups and downs and still to this day it’s all about survival. If we all wake up in the morning happy and healthy and go to bed still breathing at night – we are doing ok. I volunteer a few hours a week, supporting mum’s who need an ear to listen to and I’ve just enrolled to start a counselling course at my local college next month. The most important thing that I’ve learned over the past 2 years is to talk. Talk to anyone who makes you feel comfortable and ask for help. I know I am lucky that I reached out, as so many find it difficult to admit they need help. I’m in my happy place again, very blessed with what I have, and thankful to everyone who has helped me along the way. There will still be hard times ahead, especially with 3 under 3, but I am a good mum, in fact I am great mum, and I tell myself this every day to remind me that there is no book to tell me how its done. No matter if you have 1, 3, 5 or 10 kids, being a parent is tough, I just wing it like every other super mum out there!